Been dreaming about that designer kitchen? Wishing you had enough money to pay off your existing student loans? If so, a cash-out refi could be a smart option for you. So, what exactly is a cash-out refi? It’s simply when you refinance your home (mortgage) for more than you currently owe, and you get to keep the difference in cash minus closing costs of course. Typically, you need 20% equity in your happy home to be able to refinance. 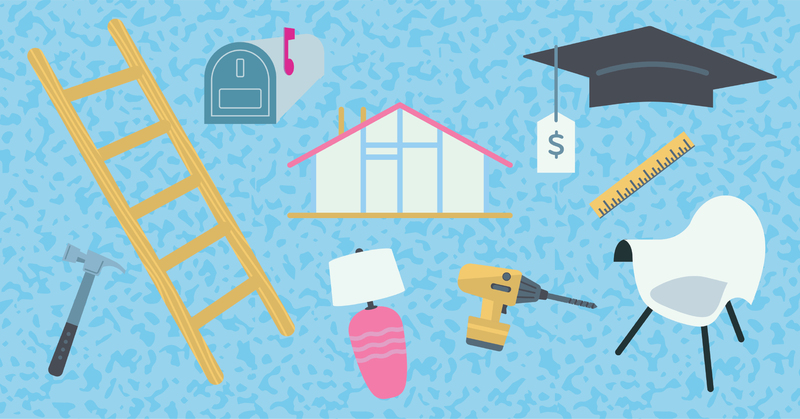 Home improvement projects: Sprucing up your landscaping, adding an outdoor entertainment area, creating a Man Cave, She Cave or We Cave—they’re all great reasons to tap into your home’s equity and get the house you’ve always dreamed of. Keep in mind that by refinancing your existing mortgage loan, your total finance charge may be higher over the life of the loan.